Last November, diplomats from Brazil to Japan joined oil and gas executives at the headquarters of Washington’s largest lobbying group to christen a new partnership. 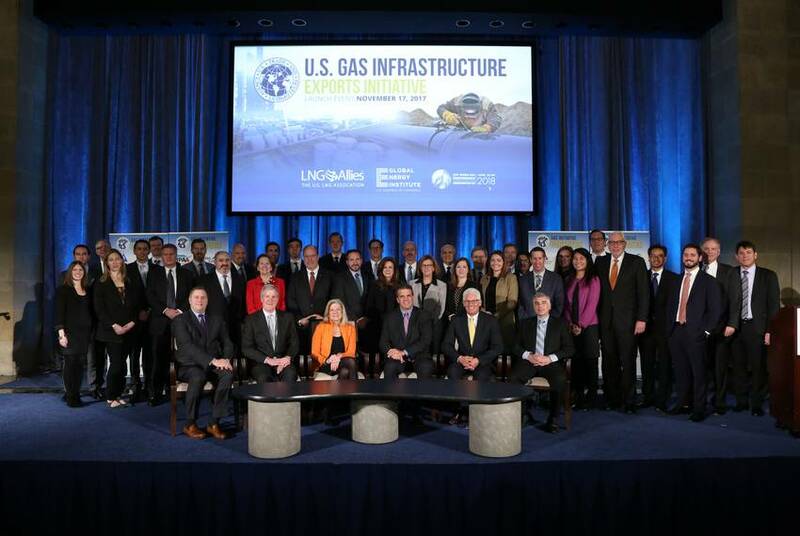 Inside the marble walls of the U.S. Chamber of Commerce, a crowd of 200 welcomed the U.S. Gas Infrastructure Exports Initiative — a coalition of 25 companies, nine trade groups, five law firms, at least five federal agencies and a nonprofit think tank. Its mission: to drive sales of American natural gas by pumping dollars into pipelines and gas-processing facilities overseas. The initiative, coordinated in part by a natural gas lobbyist, is the latest federal effort to market the fuel as a “clean” energy source amid surging U.S. drilling and exports. American gas production is projected to account for almost 40 percent of the world’s gas growth through 2040, according to the International Energy Agency. Countries like China are buying up tank loads of LNG — natural gas that has been supercooled to liquefy it — to generate power, heat buildings and fuel trucks. This comes as the science underpinning the fuel’s status as a climate-friendly alternative to coal has eroded. Natural gas is made up primarily of methane, a potent greenhouse gas many times more powerful than carbon dioxide. Recent research shows methane leaks at oil and gas sites were 60 percent higher than current federal estimates. Even if methane weren’t an issue, gas still emits a significant amount of carbon dioxide when burned — roughly 50 percent less than coal and about 25 percent less than gasoline or diesel. Those reductions wouldn’t be enough to head off catastrophic climate change at a time when experts at the United Nations say the Earth is heating up faster than ever. Despite these downsides, investment in gas infrastructure has only accelerated. 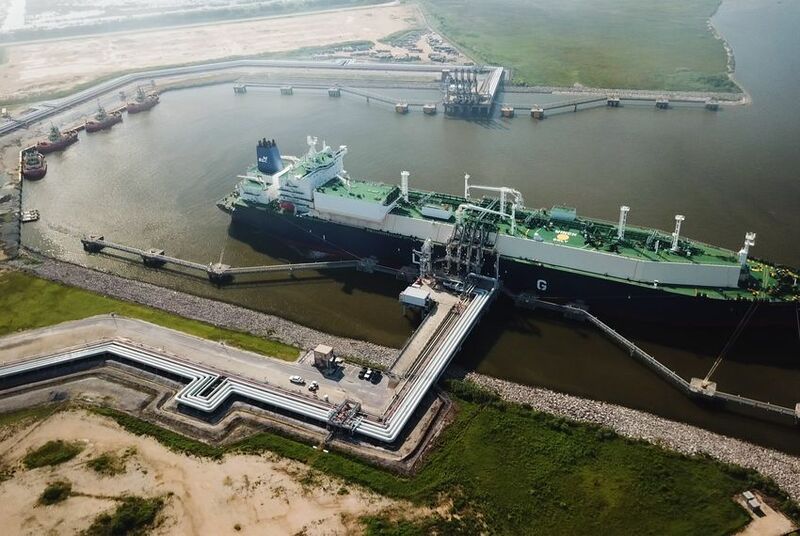 The country's handful of LNG export terminals all sent out their first shipments within the last three years, and there are plans for at least a dozen more terminals. Record-high U.S. gas production is also spawning thousands of miles of pipelines and hundreds of gas-fired power plants nationwide, despite urgent recommendations from scientists for a more rapid and extensive transition to zero-emissions sources of energy, such as solar and wind. The latest from the government’s National Climate Assessment showed global-warming impacts are already being felt, from worsening blazes such as the November wildfire that tore through Northern California — the deadliest in state history — to intensifying storms like Hurricane Florence, which pummeled the Carolinas with record rainfall in September. By specifically promoting LNG exports, the U.S. is helping guarantee the success of a handful of companies — using taxpayer dollars to boost a nascent industry it also regulates. Arguably, no company has benefited more from the government’s LNG push than Houston-based Cheniere, which in 2016 became the first U.S. company to export the commodity from a major terminal and is among the gas initiative’s 25 corporate partners. Cheniere was the lone U.S. company exporting LNG to burgeoning markets like Asia until earlier this year. Cheniere has become one of the hottest energy stocks and a company in close orbit to the White House. Carl Icahn, a major Cheniere investor, is a friend of President Donald Trump’s who served briefly as his special advisor on deregulation before resigning amid news coverage alleging conflicts of interest related to his other energy holdings. (Icahn wrote in his resignation note that he left to avoid “partisan bickering.”) The company is expanding both of its sites on the Gulf Coast. Programs like the gas initiative are contributing to an infrastructure build-out that environmentalists and researchers say will lock the globe into using another fossil fuel for decades. The Sierra Club was among several green groups that initially championed gas as a pathway to renewables but quickly soured on the fuel amid mounting concerns over methane and drilling. In 2012, Sierra Club Executive Director Michael Brune wrote, “It’s time to stop thinking of natural gas as a ‘kinder, gentler’ energy source,” as he launched Sierra’s “Beyond Natural Gas” campaign. The USTDA declined to make Acting Director Thomas R. Hardy available for an interview. In an emailed statement, Hardy defended the gas initiative as a “common-sense approach” to help countries grow “while reducing the negative health and environmental impacts” associated with fuels like coal and diesel. 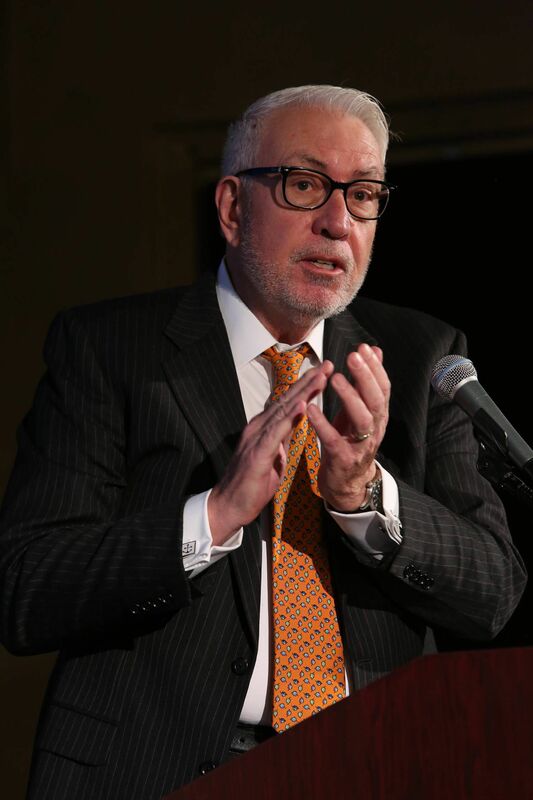 “USTDA is proud of its long-term commitment to supporting energy projects around the world, which are introducing lower carbon-intense energy solutions in emerging markets,” he wrote. The idea for the gas initiative dates back to the Obama administration, when USTDA officials began planning a public-private partnership centered on gas exports. That effort, which was part of an overall strategy by Obama officials to promote LNG as a climate-friendly fuel, stalled but was ultimately launched by the current administration. The agency had been targeted for elimination by Trump but survived, becoming a fervent champion of his “energy dominance” agenda. Though tasked with promoting a variety of exports, USTDA has long focused on energy. Projects in that sector accounted for 46 percent of its activities last year. Transportation, in second place, made up 20 percent of funding. In addition to launching the gas initiative, USTDA also restarted its efforts in the coal sector, an industry Trump promised to revive during his presidential campaign. USTDA’s budget looks minuscule compared to the likes of the U.S. Agency for International Development, the Export-Import Bank and the International Trade Administration — federal agencies that help finance private businesses and also signed on to the gas initiative. The typical USTDA grant is $500,000; rarely do they exceed $1 million. But small awards don’t mean small returns. The agency claims every dollar it invested in 2017 generated $95 in exports. Companies have used USTDA grants to fund studies, training and contracts for technical expertise. USTDA has received more than 40 gas-related proposals this year, including a facility to help supply LNG to Morocco, Spain and Portugal, a gas-fired power plant in Egypt, gas terminals in Honduras and Romania, and a floating gas processing unit on China’s east coast. The USTDA declined to provide any information on the projects it has chosen to fund. One of the agencies working on the gas initiative is the Energy Department. Energy Secretary Rick Perry was on hand to celebrate Poland’s 24-year gas contract with Cheniere last month in Warsaw as part of an LNG-focused tour of Eastern Europe. Perry, who has become an unofficial cheerleader for the natural gas industry, met with Cheniere’s CEO during his first month on the job in 2017. He has also traveled to India and Saudi Arabia, two nations that have purchased gas from Cheniere, to promote LNG. A Cheniere spokesperson declined to comment. The Department of Energy did not respond to requests for comment. Gas initiative members include the American Petroleum Institute, a trade group that has lobbied extensively for LNG exports, fought against drilling oversight and funded research and marketing efforts disputing climate change. Law firm K&L Gates, which has a dedicated LNG practice, is also taking part in the initiative. API declined to comment on its role in the initiative and K&L did not respond to requests for comment. Among the first to join the gas initiative was LNG Allies, a trade group that strives to “maximize LNG exports” and has ties to both API and the Independent Petroleum Association of America. The group is operated by Franklin-Hamilton Inc., a private firm wholly owned by public relations consultant Fred Hutchison, who is also the head of LNG Allies. At least through early last year, the embassies of Lithuania, Croatia and the Czech Republic were “informal advisors” to LNG Allies, according to Franklin-Hamilton’s filings with the U.S. Department of Justice. All three countries have raised concerns about Russia’s dominance of the European gas market. Agency officials copied Hutchison on dozens of coordination emails, many about the launch event. Responding to questions from the Center for Public Integrity, an LNG Allies representative confirmed Hutchison’s involvement but did not elaborate on his current role with the gas initiative. “LNG exports provide hundreds of thousands of U.S. jobs and trillions in domestic economic benefits,” the group wrote in its email reply. Hutchison was among several industry figures at last year’s launch, where climate change was openly discussed ― not as a Chinese “hoax” or questionable science, but as a sales pitch. The fuel’s low-carbon footprint was cited by panelists as a key reason to buy. Jie Jenny Zou is a reporter for the Center for Public Integrity, a nonprofit, nonpartisan investigative newsroom in Washington, D.C.